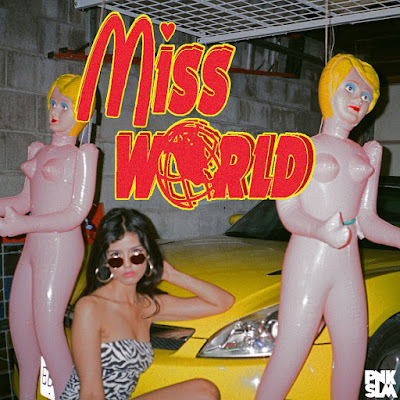 The Le Sigh: Premiere: Miss World - "Put Me In A Movie"
Premiere: Miss World - "Put Me In A Movie"
Listen to Miss World's newest banger "Put Me In A Movie." If I could live in any one movie it would be Clueless. I have written about this on the site before but Clueless hands down has the best soundtrack and wardrobe of any 90s teen movie. The lead single to Miss World's upcoming debut EP entitled "Put Me In A Movie" is like the sonic equivalent of Cher Horowitz in the greatest way possible "All the boys they really like me / and all the girls they wanna fight me / I'll have fun to the day I'm dead with all the space up in my head." "Put Me In A Movie" appears on Miss World's debut EP entitled Waist Management which is set to release on PNKSLM on October 13. Hear the infectiously catchy jangly pop tune and peep the silly and sardonic music video for "Buy Me Dinner" below. "It's about feeling entitled and lazy but like, totally fabulous at the same time. It's sarcastic and satirical (like Buy Me Dinner) but there's also empowerment in the 'fake it til you make it' sentiment of the song." Listen to Miss World on bandcamp.